The details of a brazen armed robbery were spelled out in Cannon County General Sessions Court on Tuesday. Donald Ray Neel was charged with aggravated robbery following an incident at a local fireworks stand over the Fourth of July holiday this summer. Neel appeared with his attorney, Mickey Gipson, for a preliminary hearing before General Sessions Judge Susan Melton. The only witness called by Assistant District Attorney David Puckett during the hearing was John Jones, Jr., the owner and operator of the fireworks stand. Jones told the Court he was sitting on the porch of Parsley’s Market in Readyville when his wife alerted him someone was robbing them. Jones then testified that he ran down to the stand, which was located on the edge of Parsley’s Market’s property, and saw a man with a hat on his head and a bandana over his face pointing a shotgun at several teenagers who were shopping there. Jones said he jumped on top of the man from behind. As the pair went to the ground, Jones said the hat and bandana came off, revealing his (Neel’s) face. The two struggled for approximately 5 minutes and then Jones said Neel yelled that he had a friend who was going to be coming by shooting. Jones also alleged that Neel punched him in the face and made off with approximately $450.00. Neel’s attorney then questioned Jones about the possibility he misidentified Neel due to the circumstances surrounding the heated encounter. Jones said he clearly recognized Neel and that he was sure he was the man who robbed him. During the investigation, Jones identified Neel from a photo array. After that State of Tennessee rested their case, Gipson called several witnesses who said Neel was at a party located off of Highway 53 from about 8 p.m. until approximately 10 p.m. on the night of the robbery. Puckett questioned each witness about the possibility they were unaware of the exact time Neel arrived and left that party. Puckett also said the witnesses had gathered together prior to the hearing in order to synchronize their stories. Each witness said the meeting was not an attempt to get their stories straight but just an effort to discuss what each witness remembered about the party. None of the witnesses said they were certain as to the times, but they did say there was no way Neel had committed the robbery. One female witness told the court Neel was with her from about 10 p.m. until well into the next day. Puckett also pointed out during questioning, that some of Neel’s witnesses had consumed large amounts of alcohol during the party and their memories might not be very clear. Additionally, a couple of witnesses admitted Neel had left the party for a while and then returned. During closing arguments, Gipson said, considering the heat of the moment, it is possible Jones could not clearly remember the identity of the man who robbed him. He also said he had proven Neel was elsewhere during the time of the robbery and he could not have possibly robbed the stand. During Puckett’s closing argument, he said Jones was certain of Neel’s identity as the man who robbed him and Neel’s witnesses gave inconsistent testimony. 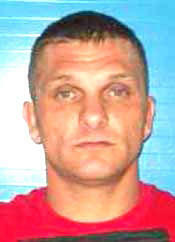 Judge Melton found probable cause to bind the case over to the January, 2010 term of the Cannon County Grand Jury. Neel remains in the Cannon County Jail in lieu of $162,500.00 bond. Neel is also charged with simple possession of marijuana and violation of probation which stemmed from other incidents.